Short, impactful stories that clearly illustrate a point. Conversational tone that engages my interest, as if we were talking over a cup of coffee. His ideas are practical and easy to use. He deals in definable specifics, rather than vague generalities. He encourages you to focus on what is important; focus on benefits and outcomes. Don’t waste time where it will not provide a clear return on your investment. I like people. They are interesting and when you learn what makes them tick, it is a joy. 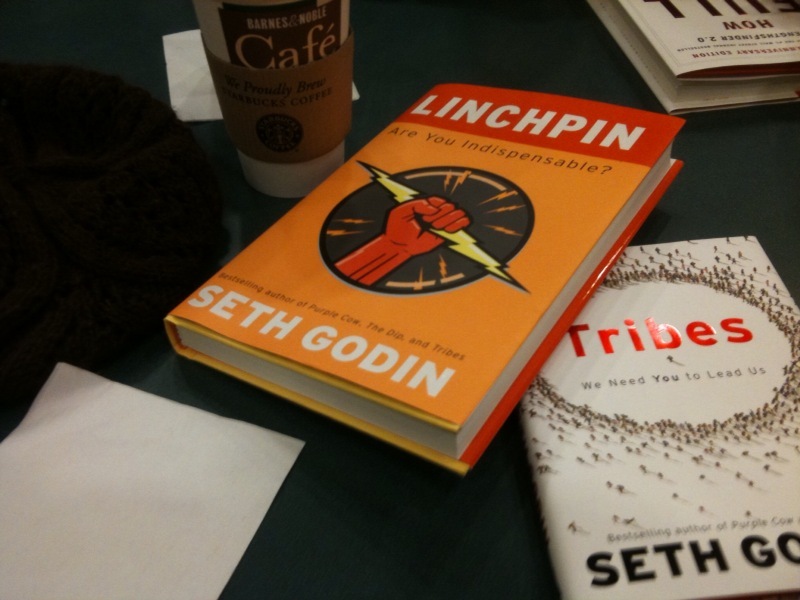 Seth Godin is a breath of fresh air every morning, and gives me something on which to focus. The fact that he points out that we are better when we are in our tribes is what reminds me that community, and how we interact in that community, is so incredibly important. Quite simply, Seth reminds me what it takes to be successful.